There are so many baking sets on the market and they’re usually made of metal, silicone or plastic. We took a different approach when designing ours and decided that we wanted ours to be made out of a natural material and this is why we chose wood. 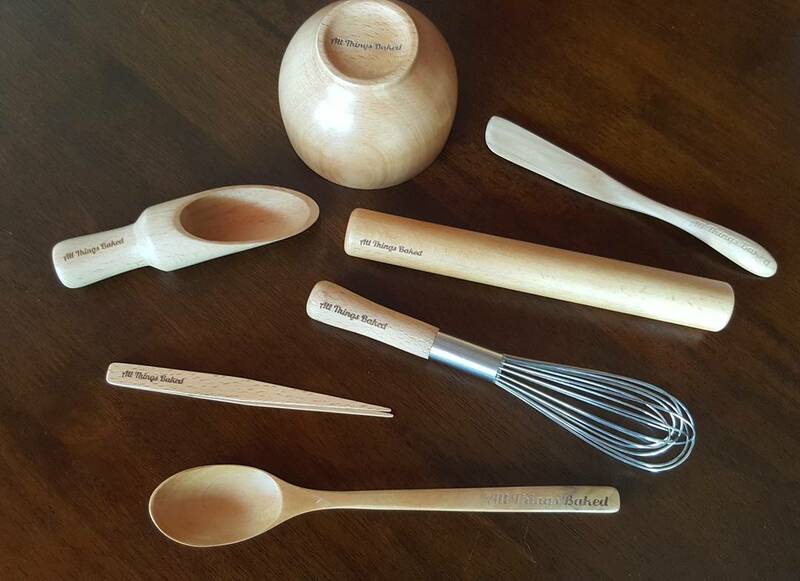 We carefully selected Bamboo and Beech wood as it has a great natural colour and texture. 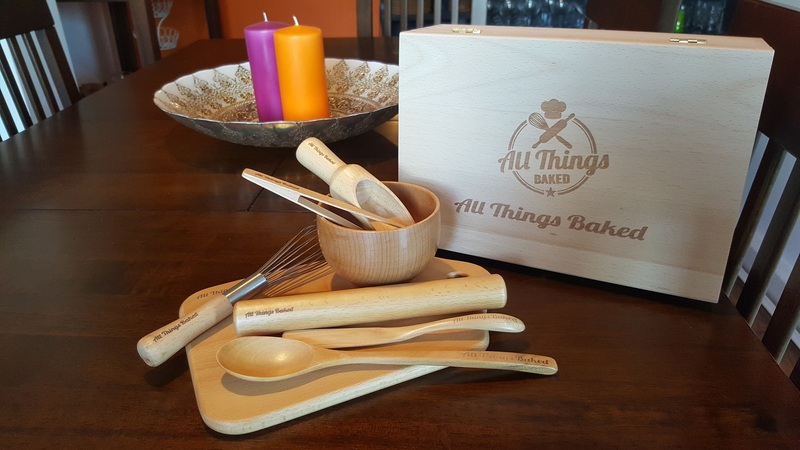 All items have been individually handmade and engraved to the highest standard and we take pride in our design and are so excited for you all to start using it when you bake your wonderful and delicious cakes and bakes! 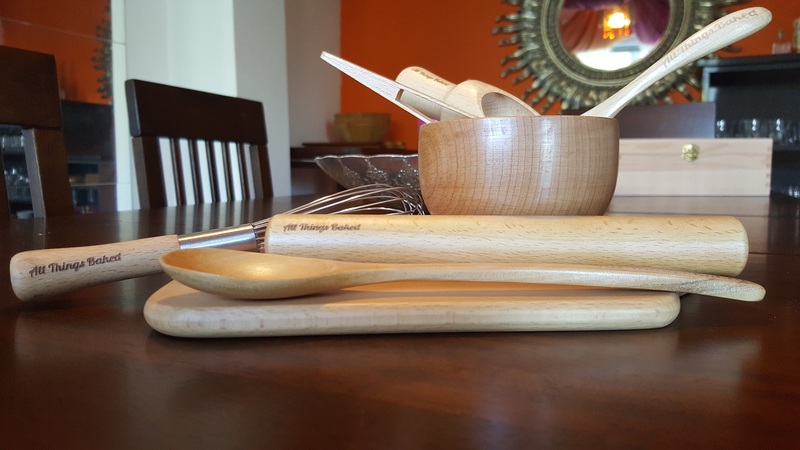 As these tools are made from natural Bamboo and Beech wood, they require care so that they do not become damaged and change colour. They’re very easy to clean and don’t require a lot of scrubbing! For the first use, wash slightly with lukewarm water and dry well with a tea towel. DO NOT USE SOAP. After you’ve used the baking tools, wash carefully with warm water but do not use soap. You can soak the baking tools in a large bowl of warm water that has a teaspoon of salt in it for approximately 3 hours as a disinfectant to make sure they’re properly clean. Then rinse through and dry well. To keep the baking tools in their best condition, smear olive oil onto the tools and leave on a tea towel and on a flat surface, this can take up to 12 hours to dry naturally. 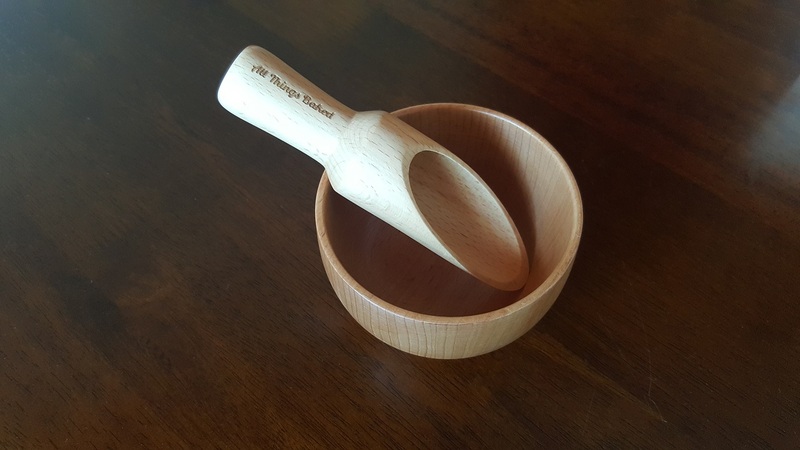 The wood will absorb the oil and the tools will become smoother and more durable. If these tools are not maintained properly, they will start to change colour by becoming darker, the texture will become rough and the writing that is engraved will start to fade. So please take care of them so they will last longer. Our baking set is now on offer for 1 week for only £32.99 via Amazon- get yours before they’re gone!